Since the invention of lithography and the dawn of modern printing at the turn of the 19th century, billboards, posters, and flyers have been a go-to method for advertising, marketing, and the sharing of ideas and information. But the billboards and digital displays of today are evolving. The days of simple signage are long gone, and so are previous technological limitations. Displays have a vast number of practicalities today, including use for entertainment and menu display, as well as for wayfinding, advertising, and much more. As signage and marketing efforts evolve, they more regularly include digital interfaces. From holographic billboards, to digital displays, contemporary signage has certainly taken new shape. These concepts are pivotal and reach further than simple advertorial endeavors. We’ve come a long way since Trivision signs reigned supreme. Here’s what’s changing in terms of billboards and display tech. If you think that the digital signage lining roadways and sidewalks isn’t listening in and looking back: think again. NFC (near field communication) tech isn’t just for mobile payments, it’s also being using within digital signage to communicate with our smartphones. There are numerous ways in which this tech is relevant to organizations. Businesses are able to literally see their audiences passing by through cameras mounted in signage. Smart billboards in cities also beam content to the phones of people walking or driving past. Whether it’s a company like Canon helping pedestrians take the perfect Instagram pictures, or the people of Russia utilizing this tech to hide advertisements for banned foods from police, the uses of this technology are almost limitless! While people in Russia are already relying on sly tactics to hide banned advertising, police forces are on the flip side of digital display tech. Law enforcement officers will more than likely continue to inject surveillance and facial recognition systems into signage in public spaces in the coming years. At the forefront of surveillance tech is the modern phenomenon of facial recognition systems. This sci-fi-tech-turned-reality is exploding with promise. For example, Google’s powerful algorithms are already intelligent enough to connect photos of adults with their childhood pictures. And Facebook is using algorithms that can identify people without even seeing their faces by using information on people’s unique hair styles, body shapes, and body language. This is all just the beginning of what’s in store. Imagine how police forces will be able to use this to their advantage when finding suspects and cybercriminals, catching people conducting fraud and identity theft, and keeping public roads free of speeders and unsafe drivers. If you’re like me, this might all make you feel a bit paranoid. But don’t fret! If you don’t want digital signs spying on you as you walk by, there are already smart glasses on the market that will hide your face from being recognized. But not all of these police adaptations will be used to collect data or locate criminals. In emergency situations, sensitive and timely information can be displayed to people in real time. This is useful in disaster situations such as interstate pileups, wildfires and other extreme weather, or when states of emergency have been called. As surprising as it sounds, billboards are actually being used to solve important world issues. For starters, we all know that mosquitoes are one of the most problematic creatures on the planet. Mosquitoes are responsible for the spread of countless diseases, including problems such as the Zika virus, which has become a top public health concern. A creative approach to controlling these pesky pests comes in the form of, you guessed it: signage. Billboards equipped with powerful lights and replicated human scents can now attract mosquitoes from as far as 2.5 km away. These billboards trap hundreds of Ziki-infected mosquitoes per day. Talk about killer advertising techniques! Lima, the largest city in Peru, has two huge, long-standing, public health issues. The city has the worst pollution in Latin America and limited amounts of safe drinking water. Thankfully, Peru’s University of Engineering and Technology is tackling these two problems with one sustainable billboard concept. The billboards also produced almost 10,000 liters of clean drinking water in its first three months of operation. It did this by collecting water vapor right out of the air. Tech and trade shows go hand in hand, that much is certain. And at the forefront of any engaging trade show booth stands captivating signage in the form of graphics, displays, and other digitally displayed media. A highly relevant trade show, the Digital Sign Expo, was last month. This is the world’s biggest annual signage convention, and took place in Las Vegas this year. The expo attracts hundreds of exhibitors and thousands of attendees. The Digital Sign Expo truly represents the digital signage niche to a tee. 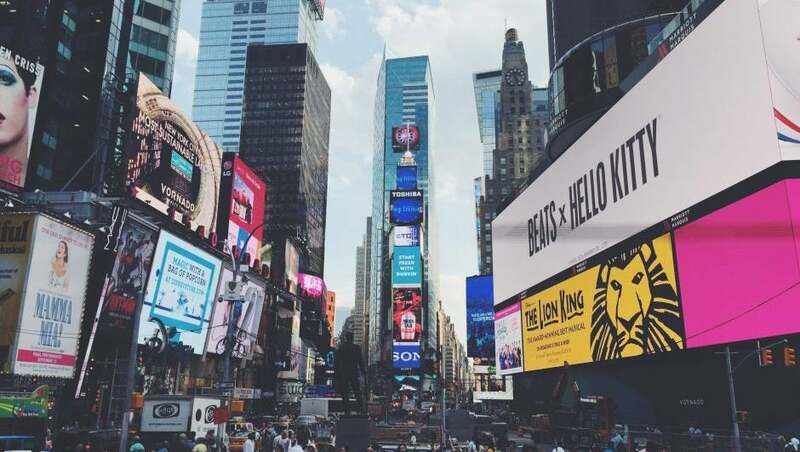 As the world’s signage progresses from flat, boring pieces of paper, to complex, digital billboards, how else will the digital displays of tomorrow continue to change? Please post your predictions and findings in the comments section below.